Because the built-in portable Hotspot in an Android phone limits you with only turning on the Hotspot and make it password protected with WPA2 PSK. What’s worse, we have seen some users complaining about their WiFi of the phone are not working properly, and that can also lead to the problem of turning on the WiFi Hotspot to do the things they want, for example, to make free WiFi calls on Android. And sometimes your unlimited or limited internet plan doesn’t allow you to turn on the mobile Hotspot, sometimes unlimited plan with throttle will reduce the internet speed to crawl, that time you need such apps. And these third-party Hotspot apps also offer several other features like monitor the data usage, data security; can set data usage limitation, etc. Hence, we have searched the top best Free WiFi Portable Hotspot apps for Android and added in our roster for you to choose. Check the given below WiFi Hotspot apps for Android phone without root and pick one which you find most suitable for you. PdaNet+ is one of the best and most rated Hotspot apps on the Google Play Store. It allows you to share your smartphone internet with computers, tablets, and other smartphones without requiring a rooted phone. PdaNet+ comes with a new “WiFi Direct Hotspot” feature that works on all Android phones 4.1 or later, which lets you connect with tablets and computers with installing its client app or setup proxy depending on the device. You can connect other devices with yours by USB Mode. Bluetooth is now utterly an obsolete so it may be disabled; you should use WiFi Direct Hotspot instead. It has a feature of time usage limit. Can’t connect to the Game devices and TVs. It won’t work on particular phones. 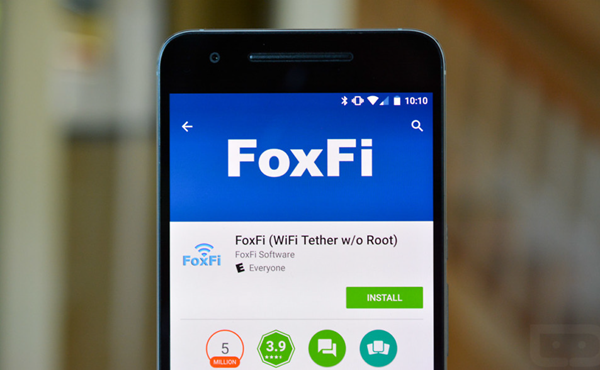 Now to turn your phone into a Mobile Hotspot with FoxFi, no root or tether plan is required. It is most easy, and its simple interface is usable within a click of the installation. 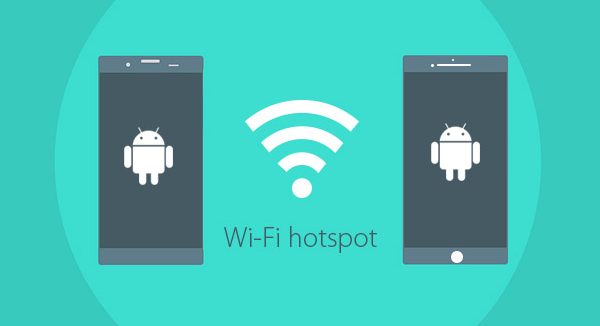 You can turn on the WiFi Hotspot in a single click from this Android WiFi Hotspot app. Users have rated this app with 3.9 stars on the Play Store. It offers USB Tether and WiFi Direct Hotspot, but one has to install a stand-alone Pdanet app. Simple & easy to install and use. It supports almost every android phone. It will require a paid version of a while usage of free one. One has to download Pdanet app to access other features. This WiFi Portable Hotspot app for Android is available only on Amazon Store. It can also be used to access other WiFi networks with user’s permission or which are open or not secured with passwords. 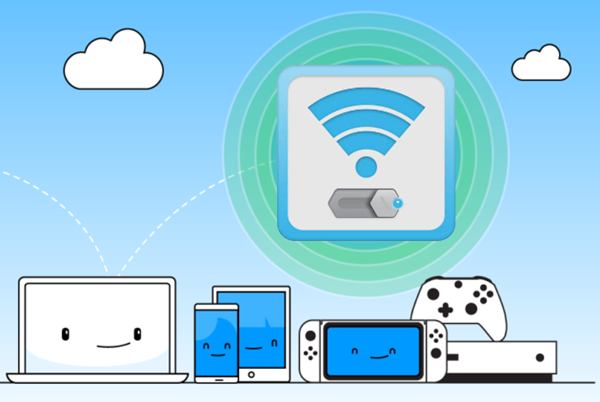 It is a one tap solution to turn on the free WiFi hotspot and share your WiFi network, and at the same time you can monitor the data traffic. It has a feature to boost your networks to browse fast on any of your Android browsers, as well as on other apps. It removes background apps so that it won’t freeze your phone. With its material design UI and latest features, it is one of the best WiFi tether app for Android owners. Boost up the internet speed. To use it to its most extent it needs a rooted phone. WiFi Hotspot Master manages to broadcast network on other mobiles, and allows you to turn on WiFi Hotspot with just one click. This comes with lightweight data storage, and you can check who is using your network and who was connected to your Mobile Hotspot ever. It also boosts your internet speed to browse even faster, and shows the real-time downloading and uploading speed of your carrier’s data plan.With 4.0 rating on Google Play Store, it is one of the most trusted apps by users. It shows recent Hotspot settings history. Check who is/was connected to your network ever. It leads to other apps to access the full features. It shows lots of Ad popups. Warm Tip: After you have turned on your WiFi Hotspot, please do remember to keep your data safe on your Android device while surfing the net cheerfully. Download this Android Data Recovery on your computer just in case of any data loss on your Android. If it happens, stop using your phone immediately and then connect your phone to computer to let that data recovery software to scan your phone for the deleted data. Several telecom carriers do not allow their users to turn on their mobile Hotspot and prompt them with “Do you want to call the carrier” with some specific internet data plan, no matter whether it is an unlimited or limited plan. But these are some of the best portable WiFi Hotspot apps for Android to turn your Android device into a WiFi router Hotspot so as to share your internet data plan with friends, family, and other devices. So now stop searching such tools and use our best-listed apps to save your time and data plan. Let us know which one of the app you found most easy, and you would recommend it to others. If you know any other such apps tell us about them in the comment box.